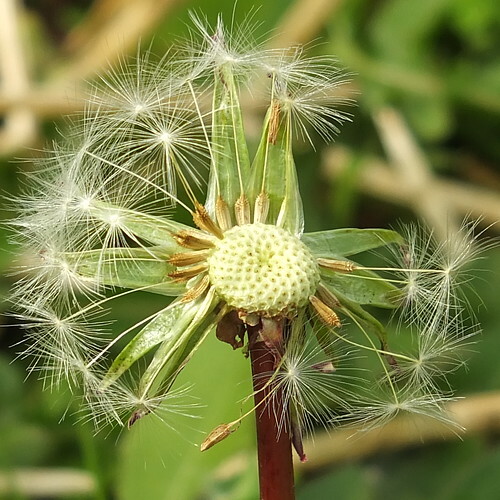 Dandelion seedhead_0004.jpg, a photo by Patricia Manhire on Flickr. My photo for the day. Unfortunately, I tend to have a lot of weeds in my garden, but you know what they make really interesting photos. I was really pleased with the detail in this photo using my intelligent zoom. When I was young I used to think the seeds were fairies – hence the title. Just a little whimsical tonight I think. Tomorrow I will post some of my latest scrapbook pages from my son’s album after I have uploaded them to my Memory Manager. I am now up to James at 4 months old so I am making good progress and it is only April. With the weather turning cooler here it is a great time to stay inside and scrapbook both digitally and traditionally.